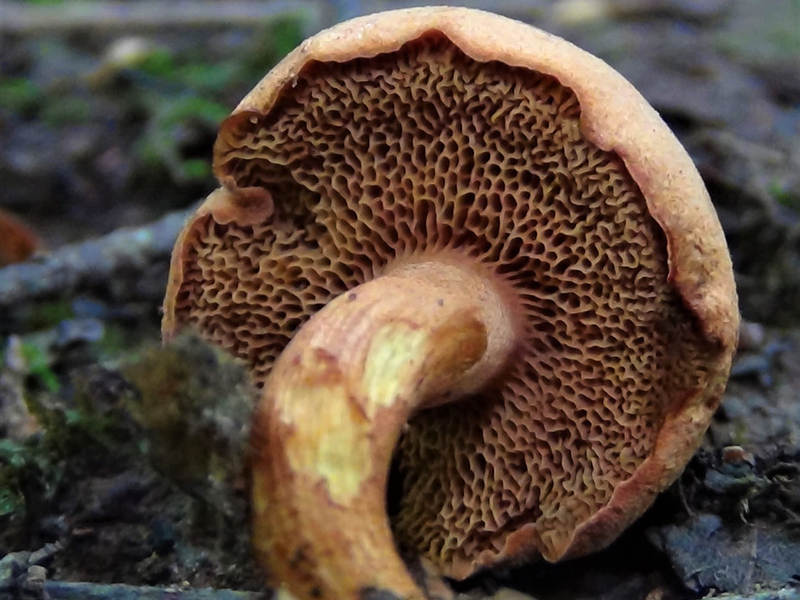 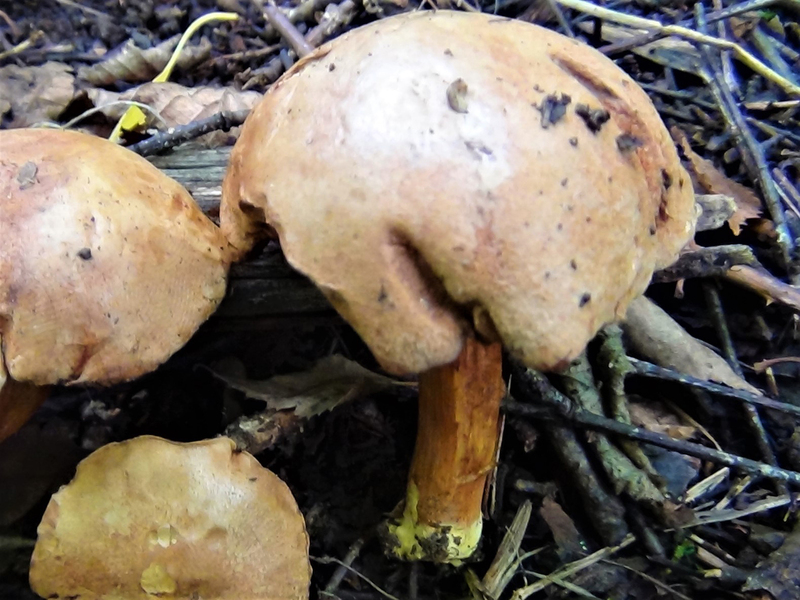 This mushroom can be dried and ground and used as a pepper like condiment or eaten cooked by people who like hot chillies. 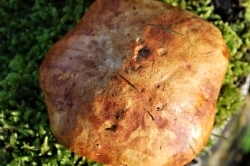 Cinnamon to brown, shiny even when dry and can crack with age. 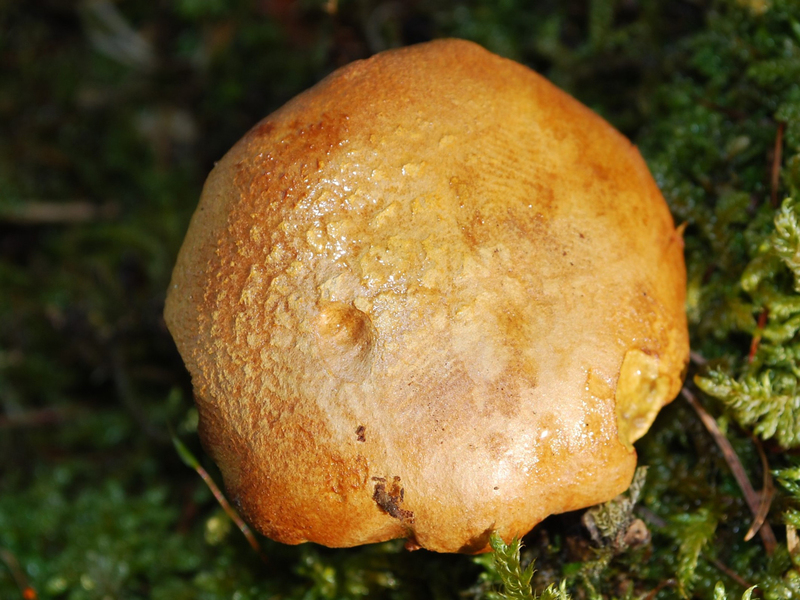 Angular, cinnamon to brown pores. 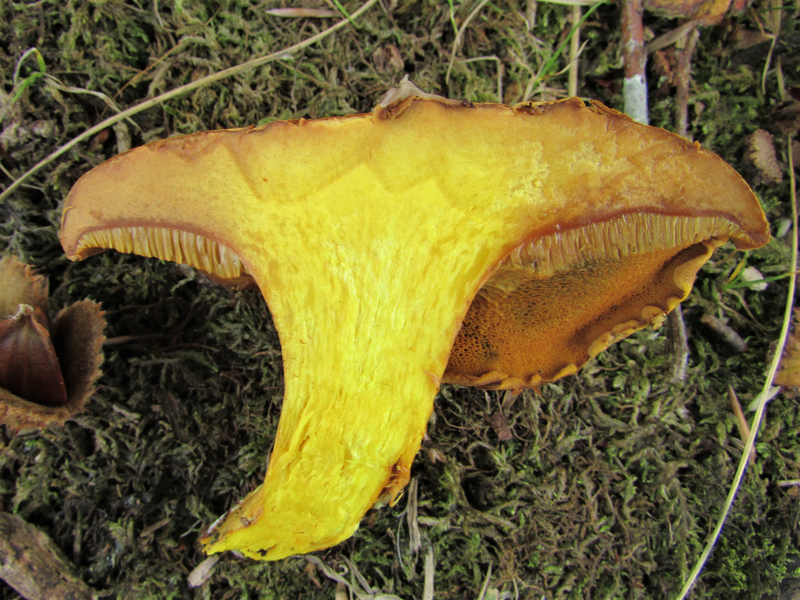 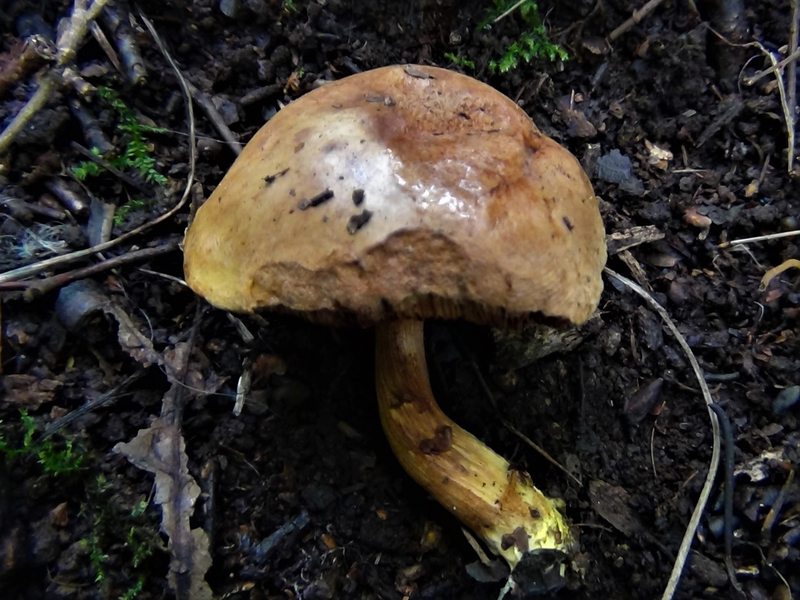 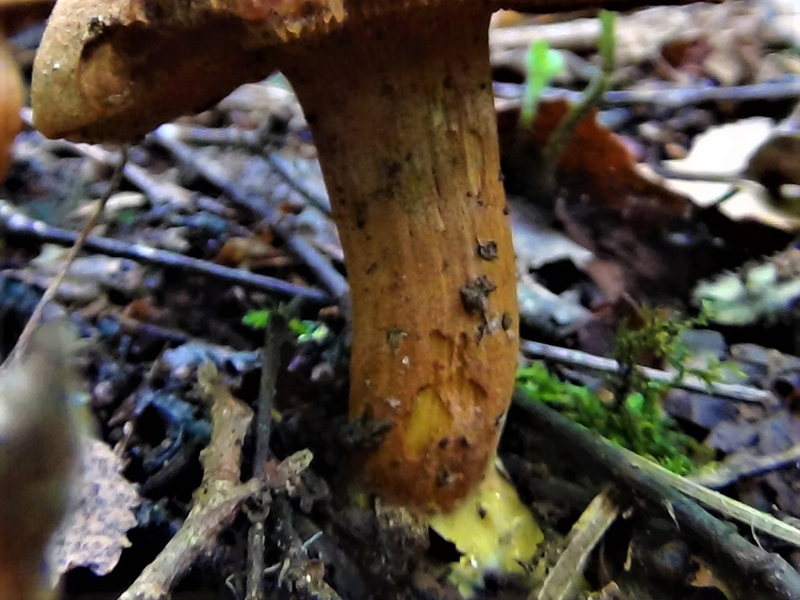 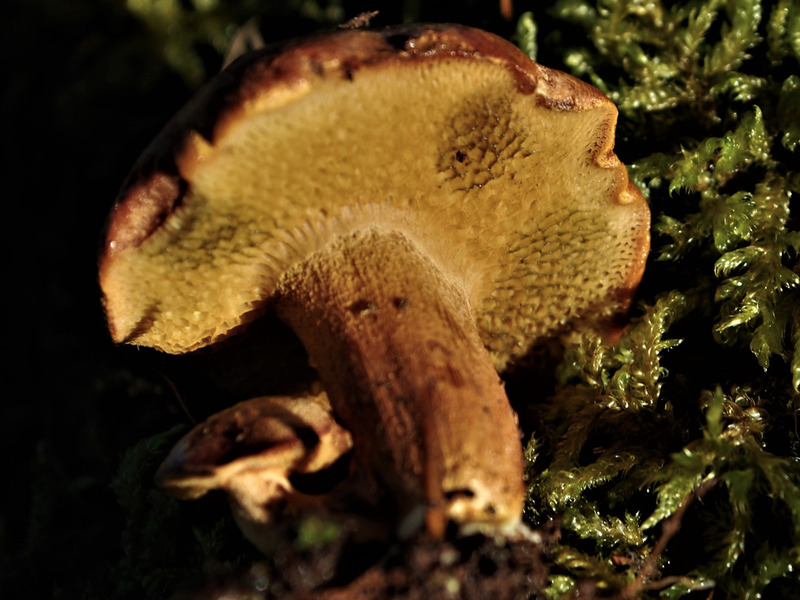 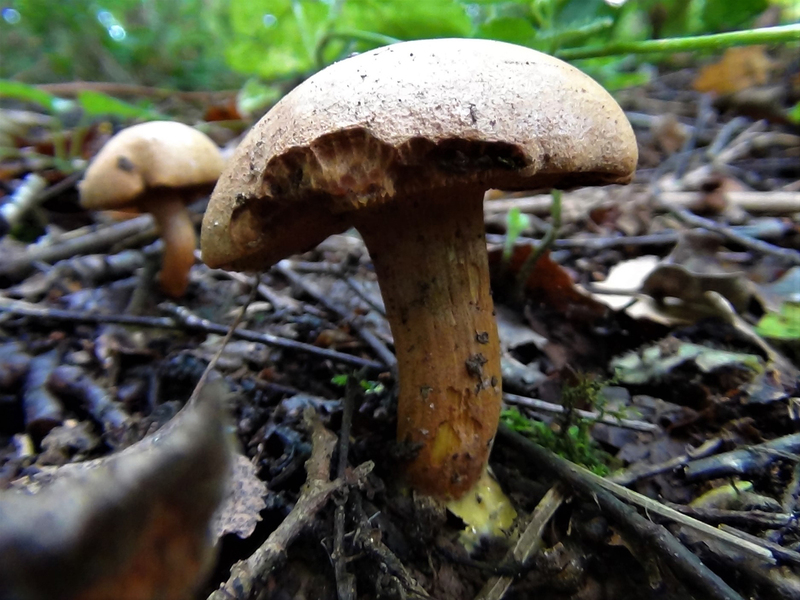 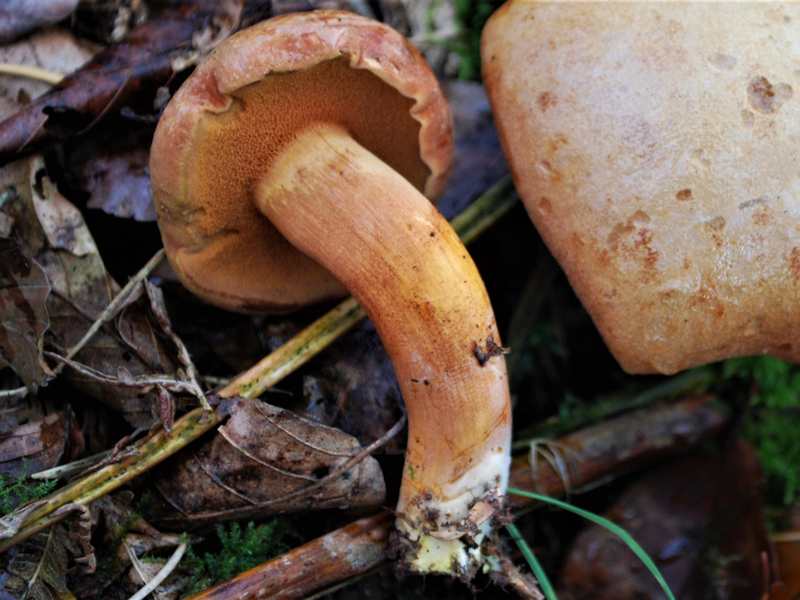 Fairly thin for a Bolete, yellow to cinnamon coloured with hints of red and vertically striated. 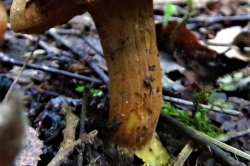 The stem is chrome yellow at the base but this can often be covered by earth. 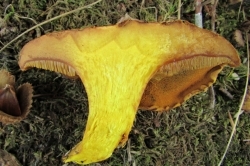 Yellow with a slight reddish flush in the cap, chrome yellow at the very base of the stem. 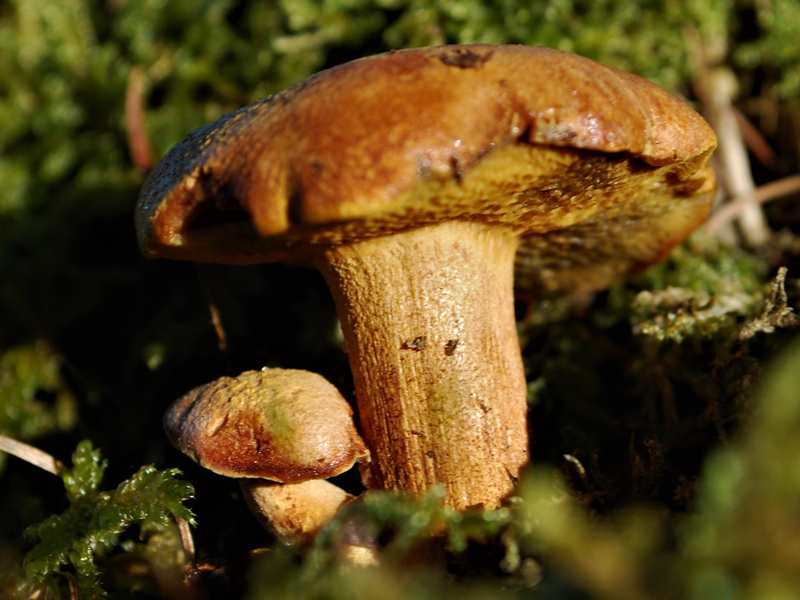 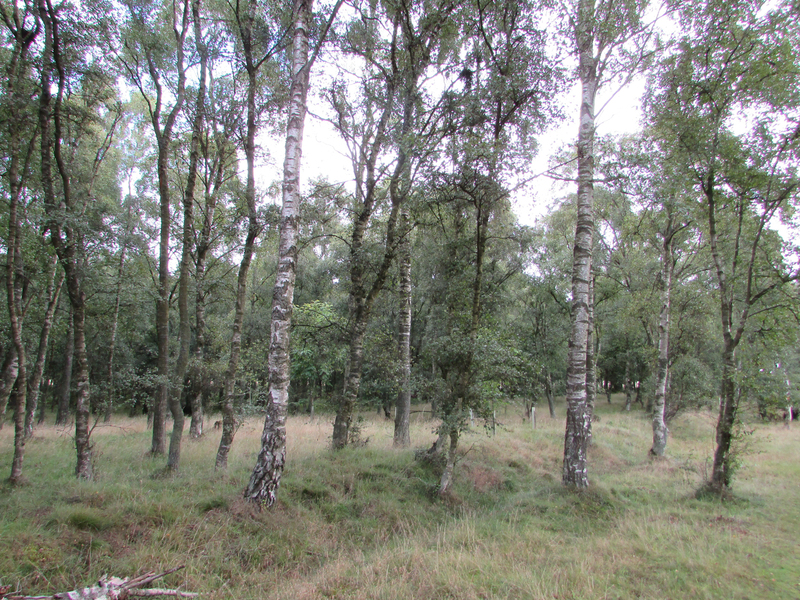 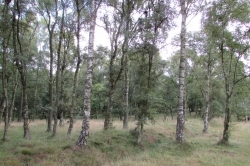 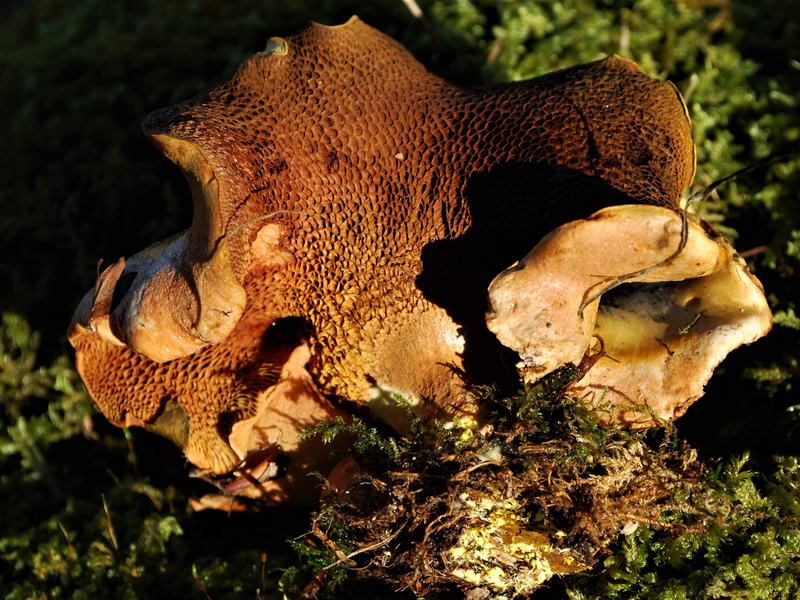 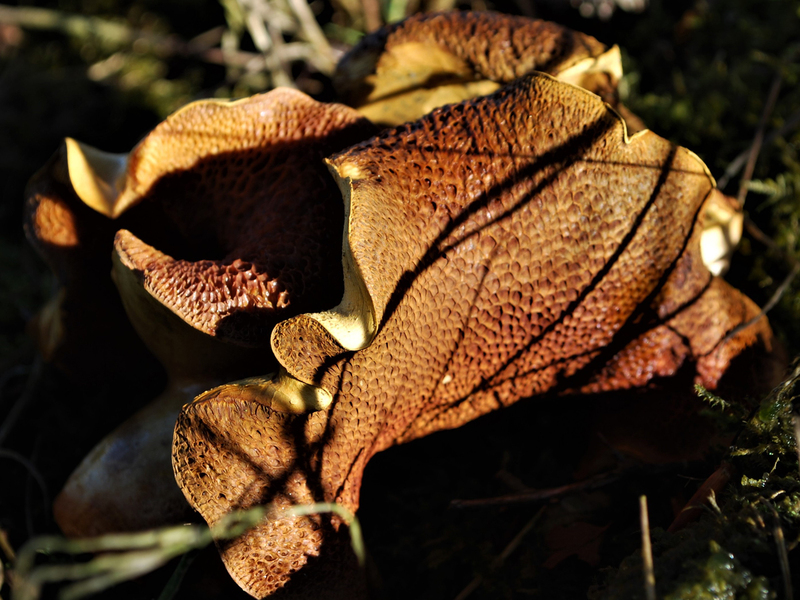 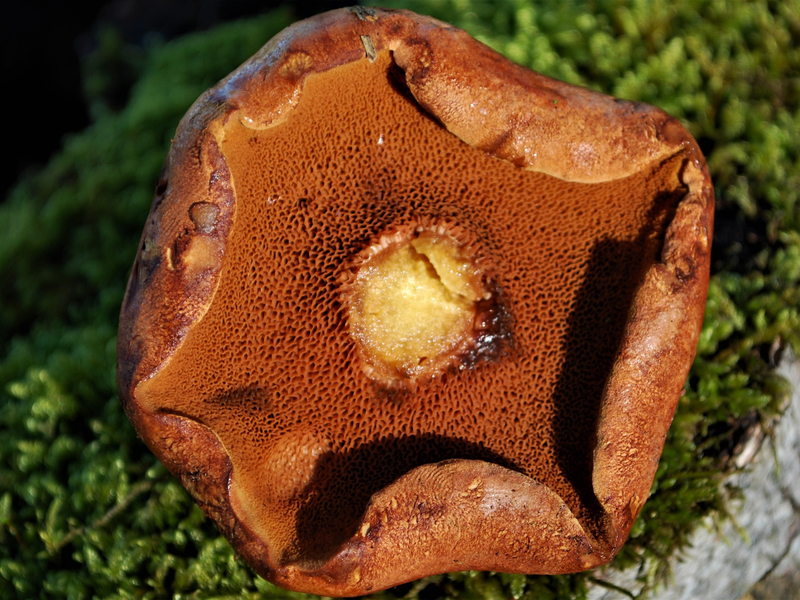 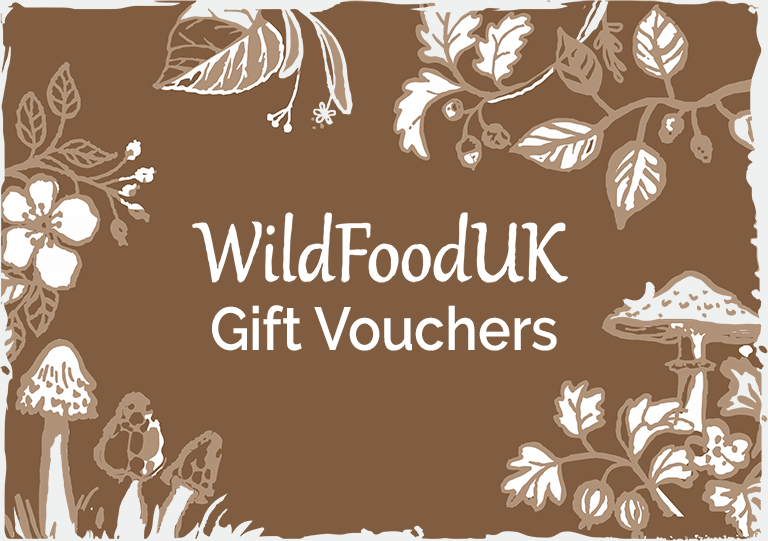 With Birch or Pine and often found in association with Fly Agarics. 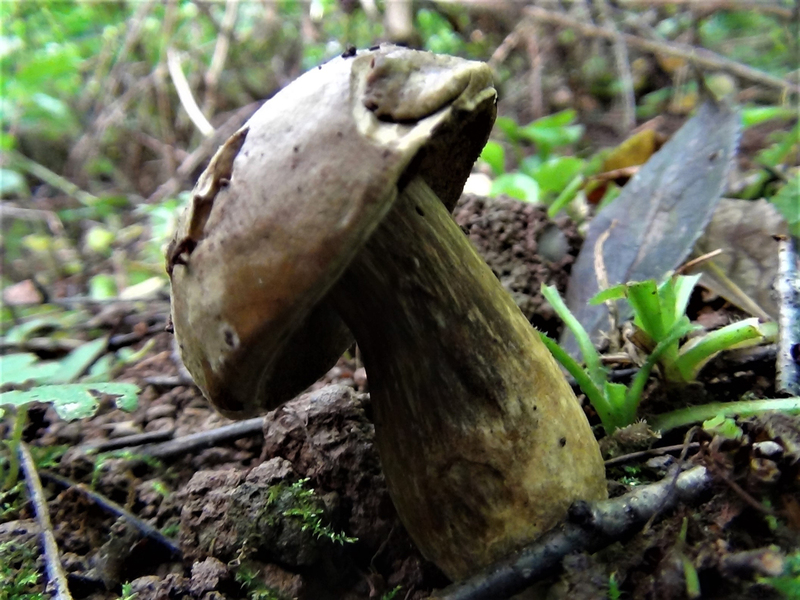 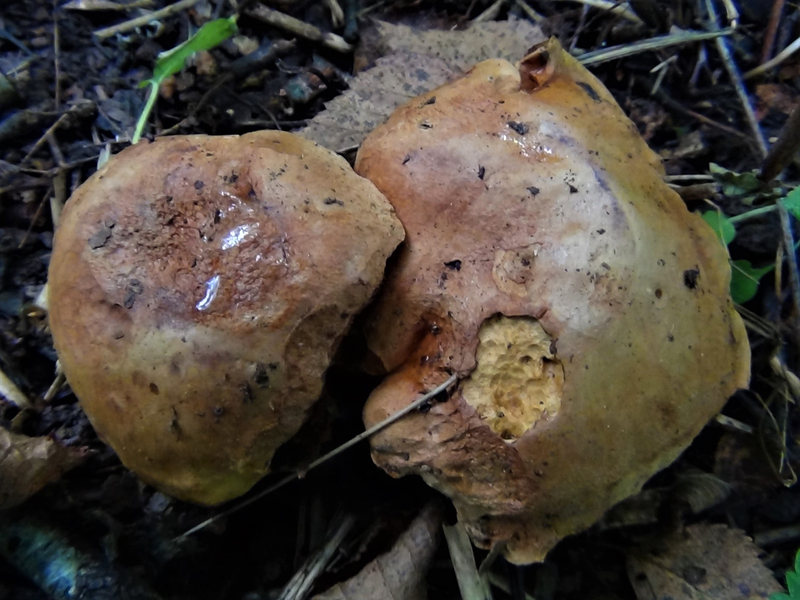 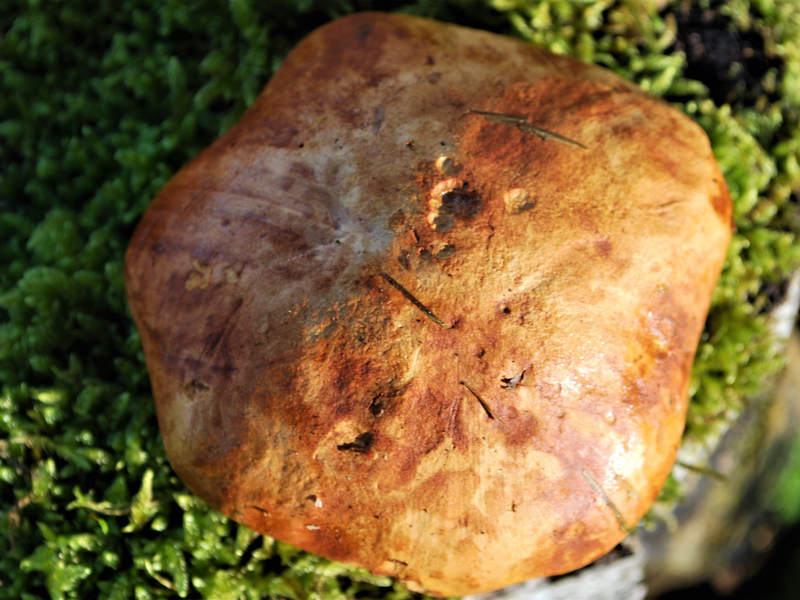 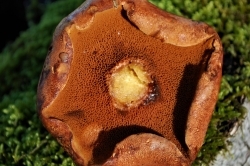 A small nibble on this Bolete will soon give its identity away due to its hot peppery taste.